The blog for LA City Tours, the best sightseeing tours in Los Angeles! Ant-Man is an upcoming American superhero film based on the Marvel Comics characters of the same name: Scott Lang and Hank Pym. Produced by Marvel Studios and distributed by Walt Disney Studios Motion Pictures, it is intended to be the twelfth installment of the Marvel Cinematic Universe (MCU). The film was directed by Peyton Reed, with a screenplay written by Edgar Wright & Joe Cornish and Adam McKay & Paul Rudd, and stars Rudd, Evangeline Lilly, Corey Stoll, Bobby Cannavale, Michael Peña, Tip “T.I.” Harris, Wood Harris, Judy Greer, David Dastmalchian and Michael Douglas. In Ant-Man, Lang must help defend Dr. Pym’s Ant-Man technology and plot a heist with worldwide ramifications. Development of Ant-Man began in April 2006, with the hiring of Wright to direct and co-write with Cornish. By April 2011, Wright and Cornish had completed three drafts of the script and Wright shot test footage for the film in July 2012. Pre-production began in October 2013 after being put on hold so that Wright could complete The World’s End. Casting began in December 2013, with the acquisition of Rudd to play Lang. In May 2014, Wright left the project citing creative differences, though he still received screenplay and story credits with Cornish. The following month, Reed was brought in as Wright’s replacement, while McKay was hired to contribute to the script with Rudd. Principal photography took place between August and December 2014 in San Francisco and Metro Atlanta. 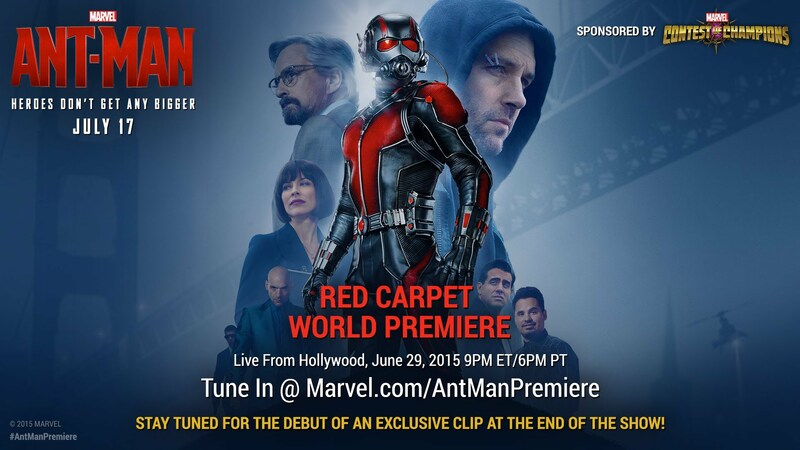 Ant-Man is scheduled to make its world premiere in Los Angeles on June 29, 2015, before general release in North America on July 17, 2015, in 3D and IMAX 3D. This entry was posted in Hollywood News by losangelesandhollywoodtours. Bookmark the permalink.